One of the most exciting local art shows in some time is opening at the end of the week. 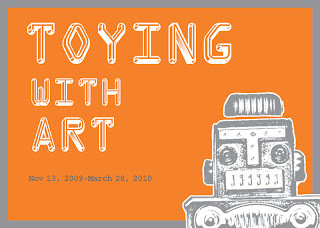 Toying with Art: Toys Designed by Artists is an exhibition at the Cameron Art Museum in Wilmington, North Caroline that will start off with its opening reception on Thursday, November 12, at 6:00 pm for members and 7:00 pm for the public. 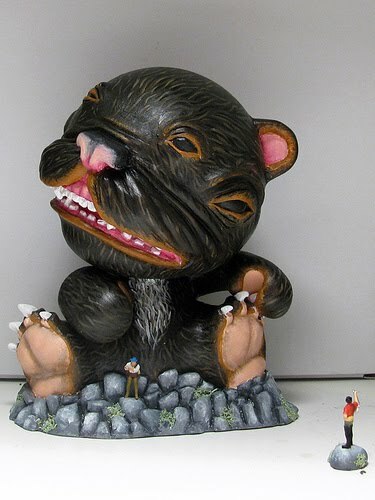 The exhibition features a multitude of primarily contemporary art toys from across the nation and abroad. Part of why I am so excited about this show is because of our inclusion in it. Nikki and I made toys for the exhibit that we feel turned out rather well. My contribution is based on one of my previous paintings called Tears 2.0, which is also why I opted to name the toy "T.2.0 Prototype." It was made using polymer clay and painted with acrylic, standing at approximately 6.5 inches tall. During the downtime which inevitably occurs while waiting for paint to dry I also made a box to house the piece. Nikki's toy of a kawai squid by the name of "Squidipoo" is clearly also inspired by our love of otaku culture. 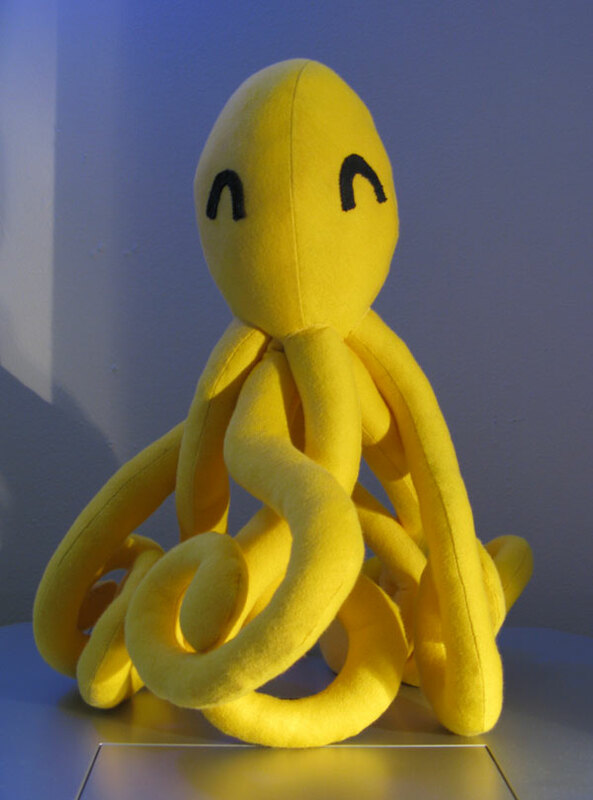 The yellow plush toy is approximately 16 inches tall and its eight tentacles allow it to stand or lay flat. Both our toys have gotten a great reception so far and I am curious to look into the possibilities of doing a small production run of these. Additional pieces in the exhibit also include a custom Munny by Yanick Blanchet of Montreal Vinyl (pictured above), and one or more of the popular Slobots by Mike Slobot. I haven't seen any other pieces yet, and so all of us are in for a treat when this show opens. If you live in or near the Wilmington area I highly recommend coming to the opening reception. You can find the Facebook event page here. Otherwise, stay tuned for more photos from the show.